We are mums who love entertaining and throwing parties for our kids. With experience and a passion in pampering adults we thought starting up a business in kids and adult pampering entertainment would be the perfect business for us and we love it!! 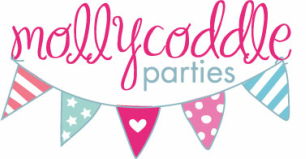 We come to you and take the hassle and stress out of organising and hosting a kids or adult party. We entertain your guests from start to finish and with inclusions and optional extra’s like party bags, birthday cake and photos there's little left for you to do. So sit back, relax and let us do all the work for you. Established in 2014 we service Canberra and its surrounds. We have both been trained in skincare and makeup master classes and Emma has a background in childcare. And for your ease of mind we also have our ‘Working with Vulnerability Card’ and ‘Public Liability Insurance’.